Are you a hankerer or a modernist? I have a theory that there are two types of people around public transport in Melbourne: hankerers for the past and modernists. Hankerers pine for an era when trains were government run, trams had conductors and buses were all run by family companies with a handful of routes (no doubt with different liveries). They write columns for The Age bemoaning the loss of tram conductors and how much better things were in the good old days. They exist in enthusisast groups or write on internet discussion boards. If employed in the industry they may occupy non-managerial positions like drivers, signallers and station staff. Some hankerers are even too young to remember the real past and live in an imagined past. Or they don’t remember the bad bits, eg the past lack of Sunday service or the sparse timetables of former branch lines (like Mornington which today receives buses every 20 minutes until 10pm seven days per week). Hankerers may have an intense interest in a single mode and don’t always see the system as a network or accept different roles for different modes. For example they may advocate new orbital railway lines along routes where improved buses would deliver similar results for less. Neither are economic concepts such as social utility and opportunity cost their strong point. They may view modernists as bureaucrats and accountants. Like the future the past is a moving feast and there are no doubt hankerers who still vouch for the superiority of steam. Or parcel vans with conductors running between trackside factories that closed 40 years ago! Modernists see themselves as rational and hankerers as deluded or merely backward. They dominate policy and management. Transit geeks with IT degrees seem to be modernists, as are many who’ve experienced systems overseas. Almost anything recently that has been done, from automated ticketing, station destaffing, rail franchising, unified signage and IT applications like SMS alerts, Tram Tracker and online journey planners have been modernist projects. I should disclose that I lean towards the modernists, although not uncritically so. I laud reform like removing train guards or tram conductors if frequencies are doubled with the savings. Similarly deleting a quiet former munitions factory route plied by the ‘brown bus’ does not worry me if it frees resources for a parallel main route run at clockface frequencies harmonised with trains. I am more ambiguous about level crossing removals. They are expensive but may be a corollary to increased train throughput. Occasionally they are done well (Nunawading) but they mostly introduce urban blight (Huntingdale, Oakleigh, Albion or Sunshine) or an isolated platform waiting environment (Elsternwick or Boronia). However I suspect that in being a modernist I form a minority. At least in this city, if the letters pages are anything to go by, vocal opinion favours the hankerer over the modernist. Why is modernism in public transport a minority sentiment? There could be several reasons. Even if you’re under thirty you may still remember tram conductors and staffed smaller stations, provided you grew up here. Then there’s the track record. Service reliability and ticketing issues have sullied the standing of modernist projects like rail franchising and three successive new ticketing systems. The linking of scratch and Metcard ticketing with reduced staffing in the 1990s only added fuel to the hankerer’s ire. In contrast later gains such as Sunday buses, text alert services and extended concession ticket eligibility, seem to have (perhaps unfairly) been less influential in the public mind. 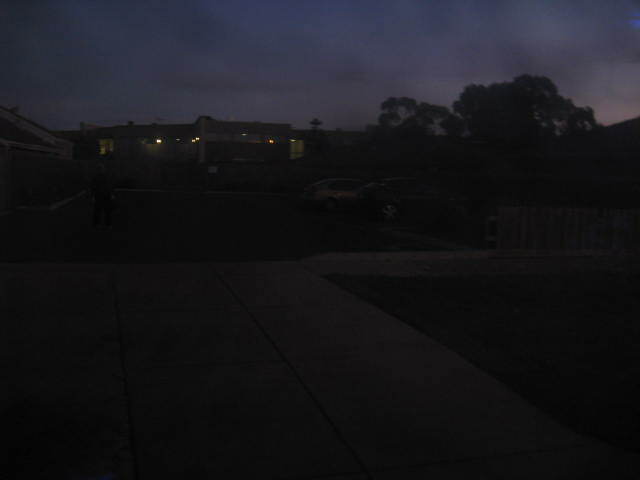 Go over to Perth and it’s a different story. No one hankers for the public transport of thirty to fifty years ago. Instead the popular memory is of the old diesel trains and how electrification and expansion transformed its rails from the nation’s worst to the nation’s best. And beyond the rails, the buses are more logical, legible and connected than they used to be, while the dark shed-like interchanges they served are nearly all gone. Perhaps except for senior citizens, who can still recall trams and trolleys, public transport’s past in Perth was indeed the ‘bad old days’. An objective comparison reveals aspects of Perth’s public transport less developed than Melbourne’s. For instance stations with customer service (as opposed to security) staff are rare. Ditto for NightRider buses. Perth’s ticket vending machines do less than ours and the versatile daily tickets we take for granted are unavailable in Perth. People there still complain but don’t hanker for the past. Modernism’s hold in Perth is such that old concepts like returning trams are presented in modern terms, for example the ‘knowledge arc’ light rail proposal. Why do we need modernism if we want better public transport? The main reason is its mindset and willingness to try something new. One old idea that no one uses public transport on a Sunday. Sunday train and tram frequencies doubled, buses gained Sunday service while fares were reduced. Patronage boomed. 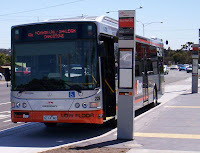 Similar success stories can be told about cross-suburban SmartBus routes and the NightRider services that were doubled. And again for our bus reviews where implementation improved connectivity and legibility. More recently we are starting to rethink train operating patterns. Some may lose their expresses or be forced to change trains. Hankerers may be over-represented in opposition. However we cannot afford to turn our back on the ‘greater good’ capacity, reliability and frequency gains that timetable and operating pattern changes may entail. The same also goes for buses. It was recently related to me how transport consultant Jarrett Walker gives people a certain amount of string to form an ideal bus network at public consultation sessions. The string could either form a network of many infrequent routes or a smaller number of direct, frequent services. This sort of engagement exposes the trade-offs needed and encourages flexibility amongst those who may previously vehemently oppose changes to ‘their’ route. Good service planners seek to break the stalemate between limited resources and the ability to provide service improvements by reappraising the existing network’s efficiency. If hankerers are too strong (or are perceived as such) service changes will not happen, even where benefits outweight the costs. Managers will be too timid to innovate. ‘No change’ will be the path of least resistance that minimises political pressure. 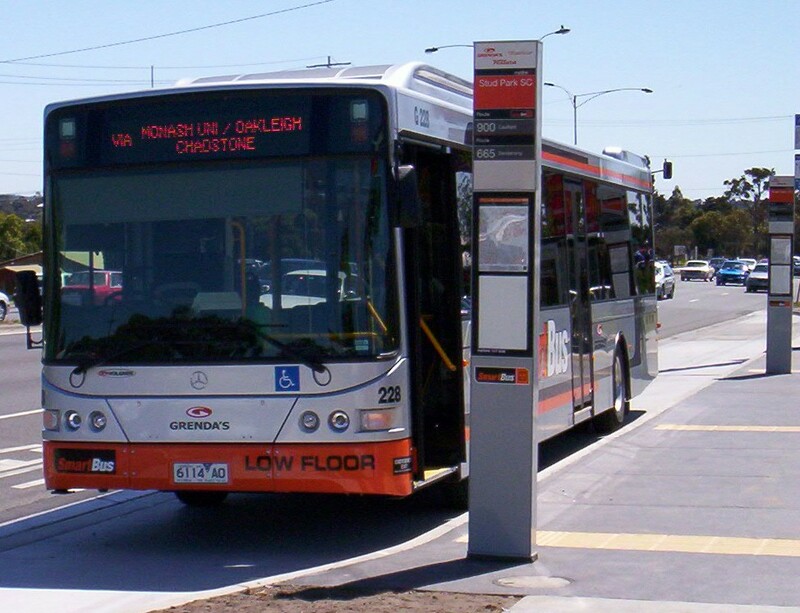 Long term, not changing comes at a cost; eg routes and timetables lagging modern travel needs, as ocurred on much of the Melbourne bus network during the 1990s. Healthy modernism can be a powerful defence against inertia. Here its contribution is to ensure that public transport is planned in the public interest, patronage is maximised and the best possible network operates for the resources available. While preserving the best of the past is laudable, on no account should it degenerate into an unthinking hankering that stymies worthwhile (but sometimes risky) progress. I was reading some Transperth bus service change notices and couldn't help thinking that these were almost like textbook examples of good service planning that should simplify the network (and hopefully increases patronage and efficiency). The theme is continued for the north metropolitan area. There are however some route changes which are explained with alternatives given where necessary. Also notable was a reply to requests for a bus interchange at Greenwood station - basically saying that the station wasn't designed to accommodate a bus interchange and many parking spots would need to be removed if one was to be fitted. While not being familiar with the station, the logic did not appear to stack up; unless buses were very lightly loaded, they would likely carry more people to the station than a dozen or two cars that occupy spaces for eight hours or more per day. Overall though Transperth service change notices are excellent reading and give an interesting insight into the decisions that service planners make to improve the network. On a rail network prone to disruption due to track faults, signal failures, loss of power, train faults and level crossing accidents, communication with passengers is critical. This morning's power failure between Frankston and Carrum stations (due to a truck running into a power pole) caused widespread service disruptions during the network's busiest period. It also sorely tested the capabilities of each communication system available. These announcements are broadcast via horn speakers located on light poles along the platform. 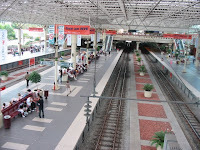 Volume varies and messages are sometimes inaudible at some points along the platform (even though it's desirable to spread passenges along it to speed boarding). This is especially the case during the morning peak at stations near busy highways where peak road traffic drowns out announcements. In contrast volume is well above ambient noise at night - even to the point where local residents complain. Of course these automated announcements presuppose trains are operating so are of limited usefulness when service is suspended (unless set to disruption mode at a control desk). Manual PA announcements can be the best means of communicating to passengers at remote unstaffed stations, especially when circumstances change at short notice. 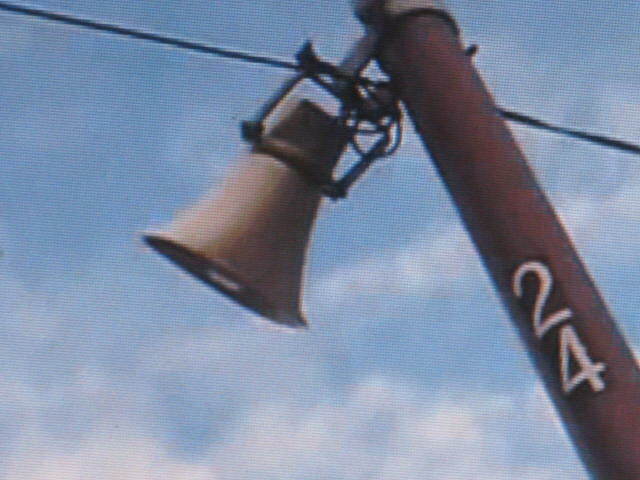 These use the same speakers as the automated announcements but are far more useful in the event of disruption. This effectiveness is enhanced because control desks are able to make these specific to a particular station or for a large section of line (most useful for large-scale disruptions as on Friday). Like automated announcements, intelligibility may be low in noisy station environments (as was the case today). Different staff have different speaking voices and levels, further affecting clarity. Control desk staff are not studio technicians and have no access to level and tone adjustments – and even if they did there’s no staff at unstaffed stations to check. While not a panacea, audio compression may help as it reduces volume changes between different voices and thus improves readability. Frequency of announcement is equally critical, especially during peak periods where hundreds of passengers per minute are entering stations along the line. Ideally these should be every two minutes. Operational circumstances vary and it is difficult to assure quality. However intervals of up to eight minutes between manual announcements are not acceptable, especially if not all are intelligible and other communication methods are not working. This is the chief means of real-time information at stations without ‘next train’ visual displays. 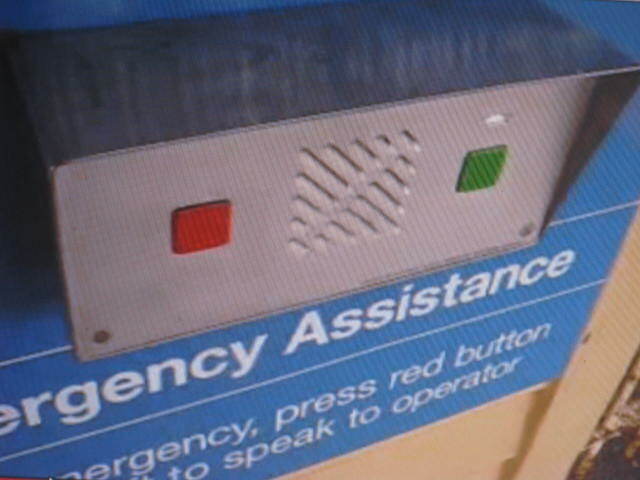 Passengers press the green button and hear next train announcements, including ‘minutes to’. This works most of the time, but, during disruptions the ‘minutes to’ announcement may be omitted. This is most important in helping passengers decide whether they should wait or seek other transport. The system may also sometimes ‘ring out’ and not provide any annoucement. This is understood to be most likely when too many passengers at too many stations are pressing the button at once (a particular risk at unstaffed stations that haven’t seen a train for a while). This is intended for emergency use only and allows two-way contact with the nearest control station. However passengers sometimes press it, either accidentally, maliciously or to enquire about delayed or disrupted services when announcements have been infrequent or inaudible. Sometimes this reminds the control desk that another PA announcement is overdue and one is given soon after. 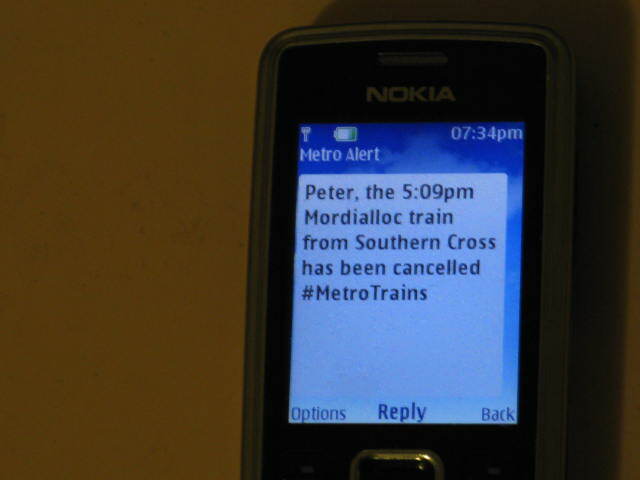 Mobile phone text alerts are the latest way of informing passengers of service disruptions. They originate from the CBD-based train control, ie a different source to local manual announcements. Passengers can customise required information to their line and travel times and information, if given sufficiently in advance, is provided before the passenger reaches the station. Alerts are often received after the time has passed for passengers to do anything about it - especially where trains are altered to bypass the City Loop or major disruptions cause high message volumes and slow sending. Increasingly important, as more get mobile internet, will be website alerts, again issued from Metrol. Each information system has its strenghts and limitations. Performance, such as clarity, accuracy and timeliness, often suffers when it is most needed, ie during service disruptions. Substantial improvements in all methods are desirable but it would seem to me that the humble manual PA announcement made locally (or to a group of stations on a line) offers the greatest potential to be cheaply improved in both quality and quantity. While buses and trams are perceived as being safer than trains at night, a major downfall is the risk of missing your stop, especially if travelling in unfamiliar territory through dark streets. Which is too much of the time at the moment, just a week out from the winter solstice! How can this aspect of network illegibility be minimised? It would be nice if the internals of windows were less reflective. Sometimes bright internal lighting (though good for reading) swamps the dim lighting outside. Better street signage at intersections would help. Far side bus stops (also desirable for bus priority reasons) might also assist as they give the passenger more time to recognise the cross-street. But the biggest culprit would have to be advertising that covers bus windows. The photos below, both taken around dusk, illustrate the point. 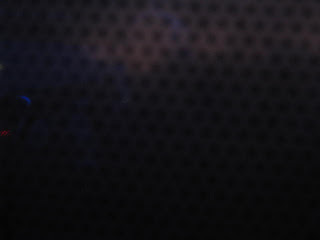 The first view out is from a clear window. The second is from a covered one. The visibility differences are stark. Along with school and charter work, advertising provides income for the bus operator. However unlike the other means of earning revenue, they significantly reduce passenger amenity. Like billboards at some stations (that interfere with passenger movement, visibility and thus public safety) it is desirable that other means of revenue are found.